K (probably J. Illingworth Kay): Grant Richards Christmas Books 1902. 54 x 39cms (21 x 15 inches). Folds and small marginal tears; some spots of foxing. Mounted along the top edge onto paper. Lists forthcoming books including Heath Robinson’s Uncle Lubin. Category: Journal & Exhibition Posters. 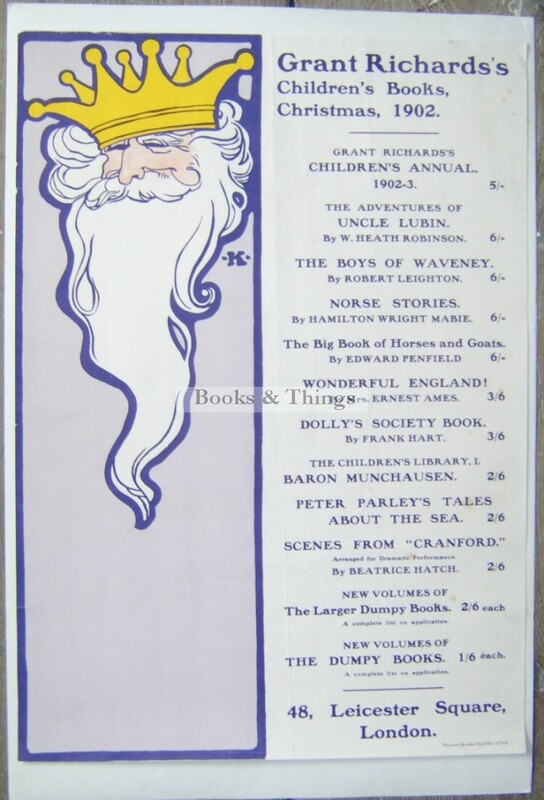 Tag: Grant Richards Christmas Books 1902 posterr.